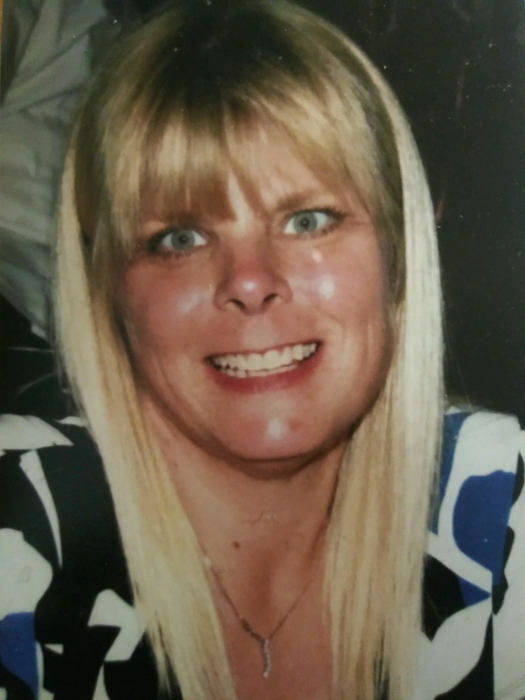 Obituary for Keri Lynn Pacle | Sierra View Funeral Chapel & Crematory, Inc.
With her family around her, Keri Pacle, peacefully entered into the arms of her Lord on the afternoon of February 2nd, 2019, (just 12 days shy of her 52nd birthday)! Keri, a long time resident of Citrus Heights, CA was born to John & Rhonda Rouse on Valentine’s Day of 1967. Growing up, Keri was an avid ice skater, a team member of the Roseville Solar Flares competition group. She was active in adult level Recitals & National & Local competitions. Keri loved people & had a special calling to nursing. While still in high school, she trained & interned at the Walnut Whitney Convalescent Hospital, earning her CNA status. She was always very caring to her patients, referring to them all as her babies! Later, Keri joined the staff at Mercy San Juan Hospital’s Cardiac Unit where she worked for 21 years! As her health began to decline & breathing became a struggle, Keri transferred to OPTUM 360 United Health Group, enabling her to work from home. Keri married Kenneth Howell in 1985. Happily married she was blessed with 2 children: Zachary & Kelsey, both tow-headed like she was as a child. Sadly, her husband Ken, passed away in 2005 & she became a single mother. The family was so proud of her because she did well raising 2 children on her own. She bought a home. Zachary was active in scouting, continuing his educati8on to earn an AA degree at Amerian River College. Kelsey, like her mom, was active in ice skating, performances & competition. In 2012, Keri met & married Eric Pacle. The kids now being mostly grown, Keri was finally able to take time for herself. She & Eric enjoyed going out for an evening of dining & taking weekend trips, their favorite destination being San Francisco. But life became even more enjoyable when she bought herself a bright red Jet Ski. Their summers were now spent mostly at Folsom Lake on the Jet ski. She even got her mom to join them at the lake & actually got Rhonda up on the jet ski. But ONCE only! She had a car she dearly loved as well: a sporty 2012 grey Camaro. Keri also loved to dance. Never letting the oxygen tanks hinder her, she would often go dancing. Her last dancing fun was at her son’s wedding last August. Keri was always active, never sitting still, she kept a backpack of activities always with her, even during hospital stays - knitting, Sudoku, adult coloring books, & how-to books on her other interests. Becoming a grandmother was the grand event in Keri’s life. She fell crazy in love with her grandbabies - Emma, Rachel & Elijah (born just 5 weeks ago). She lived for her grand kids! And she loved pets. 3 doggies, Blondie, Jack & Valentine. For a long time she raised beautiful cockatiels, becoming very knowledgeable in that field. Keri had so much love to give & she gave it all! Blessing so many of us with her sweet & tender heart! Keri’s family wishes to express their gratitude for all the prayers & support & encouragements they’ve received from family & friends during Keri’s last battle against Lupus & Pulmonary Fibrosis. Keri would want you each to rejoice with her in her brand new life with her Lord & loved ones.